I was 17 when someone first used this phrase on me, sitting in the gym of our school along with four other girls, about to start the ancient Greek Leaving Certificate exam. The grey-haired moustachioed man who was supervising our endeavours sauntered up and made the joke — “It’s all Greek to me! Hahahaha.” But it was all Greek, I thought stonily, because it was an exam in ancient Greek. Being well-brought-up, I smiled politely. Because I studied Greek for the nine years that followed school, this wasn’t to be the only time I would hear that particular “joke” (the phrase is actually a corrupted quotation of a line in Julius Caesar). So forgive me for using it in my header here. 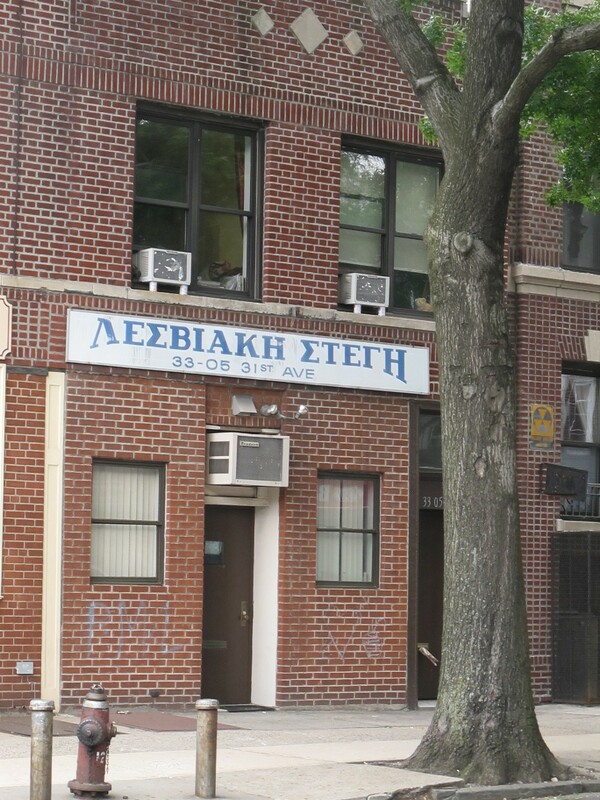 The thing is, I live in Astoria, and it is all Greek — well, almost. Greek plus Algerian plus Montenegran plus Indian and Bosnian, Brazilian and Cypriot. 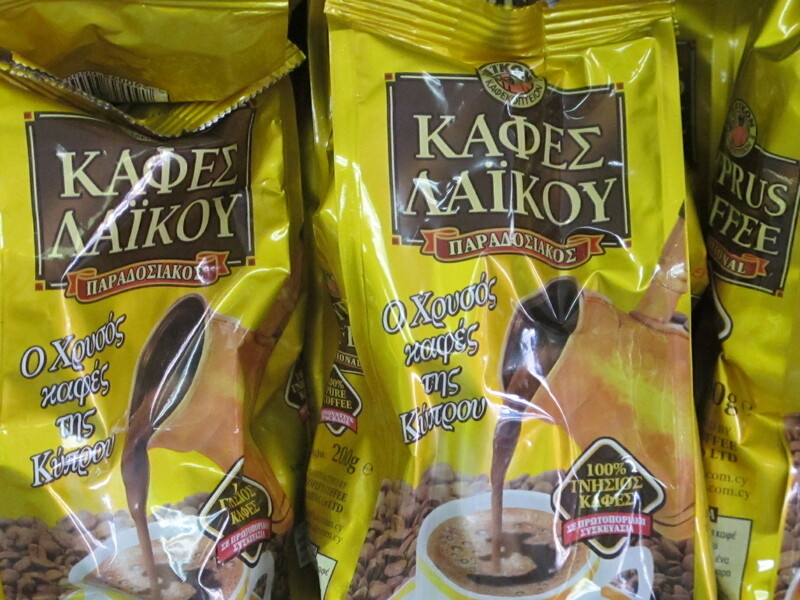 But predominantly Greek. And this has become something else that I love about New York. 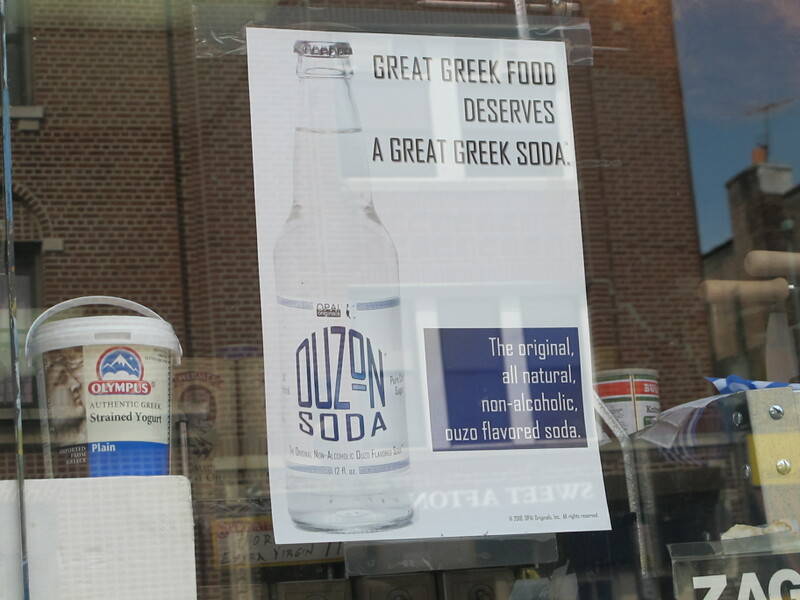 Enterprising ex-pat Greeks have transformed concepts I identify with ancient culture into items of modern American commerce. The trucks that read “Sparta Bakery” may for me evoke the macho warriors of the archaic city-state, but they also give Sparta a new and oddly domesticated twist. 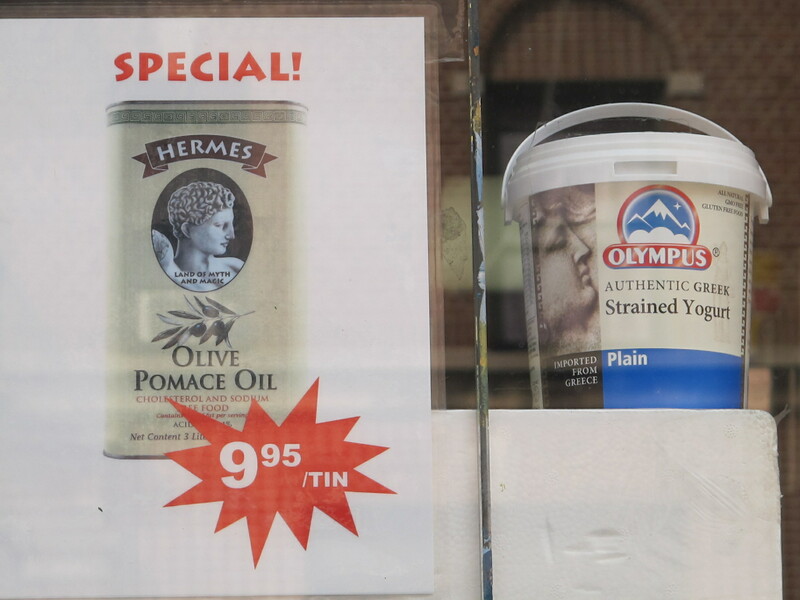 There’s a butcher’s (not pictured) that dangles skinned lambs on hooks at its window in a way that is not entirely edifying to the vegetarian eye, but somehow, especially around Easter time (after which, for a week, all the suspended corpses mysteriously disappear) seems quite Greek. 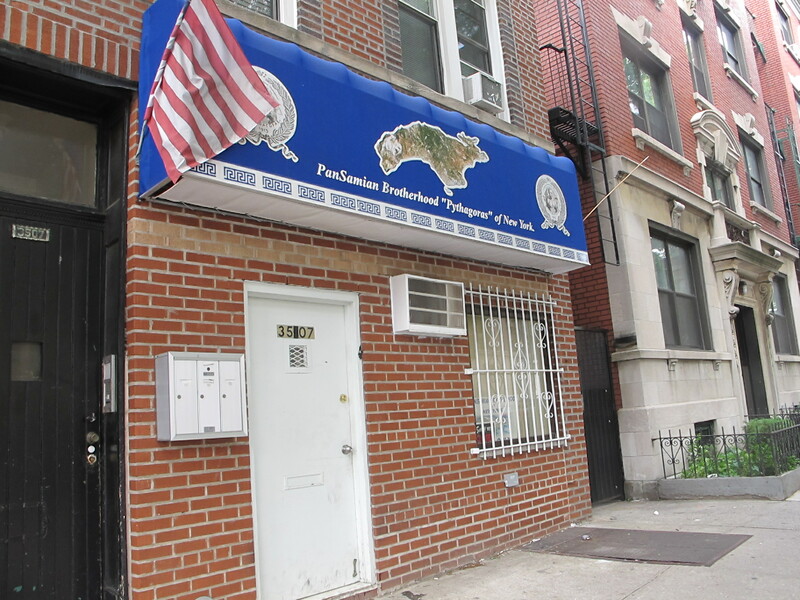 There are numerous entities that I simply don’t understand — the Lesbiake Stege for instance (Lesbian House?) or the mysterious Pansamian Brotherhood of Pythagoras, some kind of presumably philosophical (or bean-eating?) community group, which has been around since 1913 as opposed to the 8th century BCE. 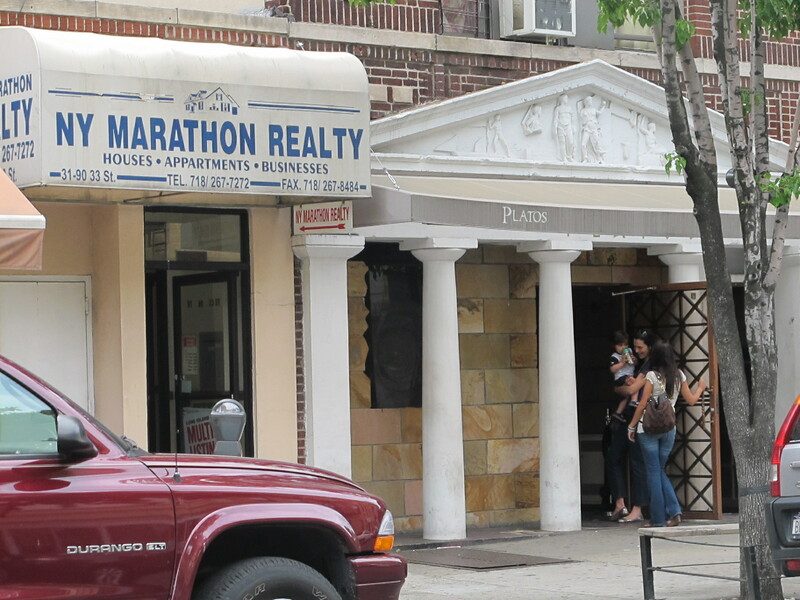 There’s Plato’s, an establishment I cycle past often, but can’t quite figure out. 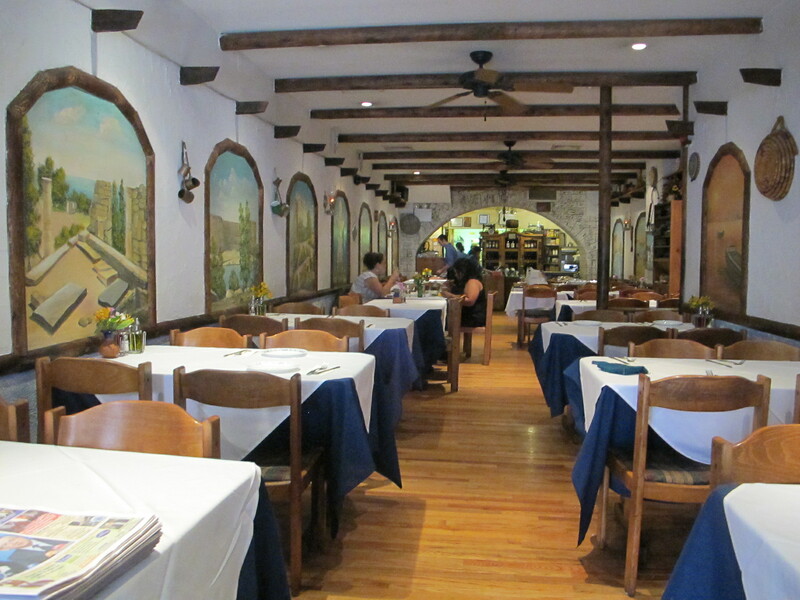 Then there’s Zenon Taverna — the word means friend/stranger — a delectable restaurant run by an older Greek gentleman who gets his adult children to do the table-waiting. I dined there last weekend and it was delicious: most of the dishes featured cheese, with some form of potato accompanying every meal. 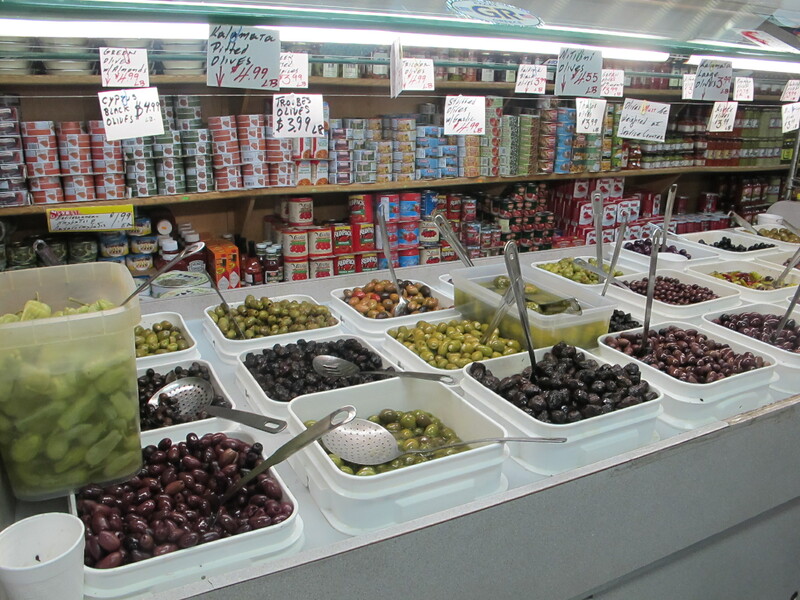 It’s absolutely charming and satisfyingly homey, in a very Greek, family way. 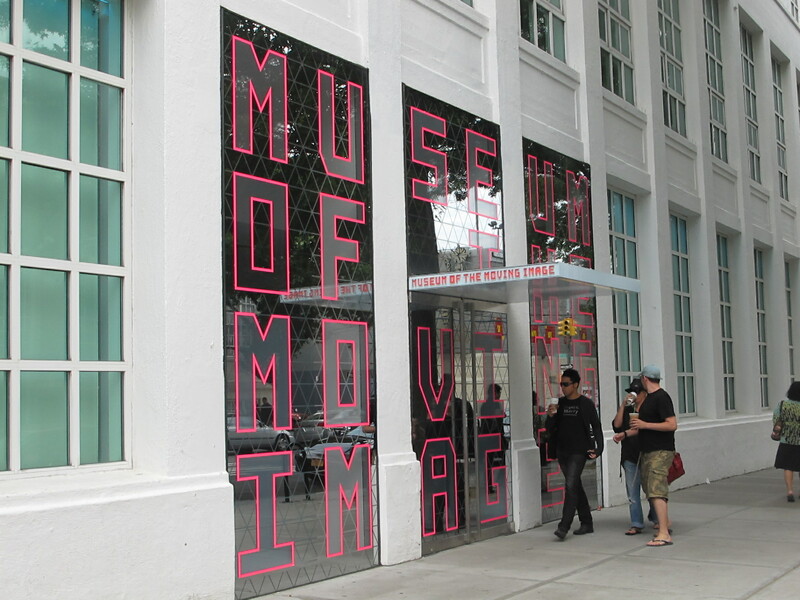 Here are some images of delightful Astoria Greekness; I’m throwing in a pic of MOMI (the Museum of the Moving Image), just because it’s cool. 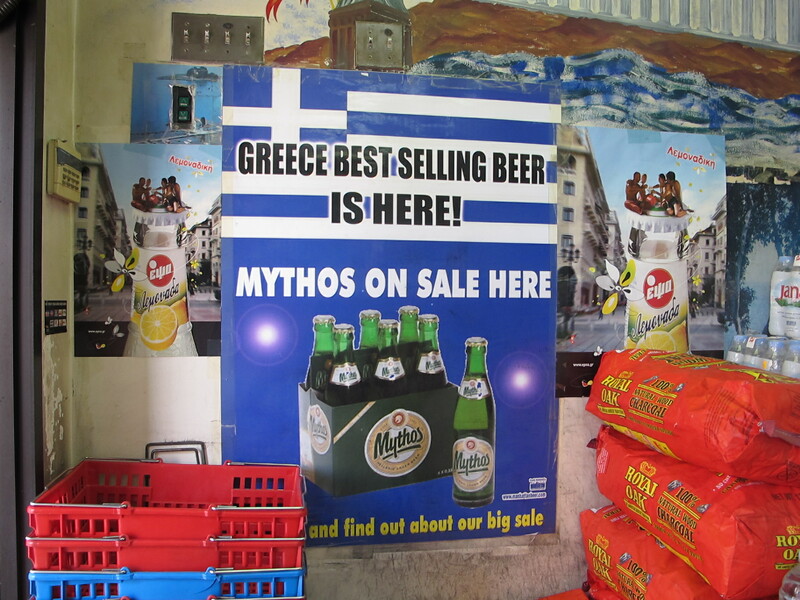 Who could dislike a mythical beer?